On May 17, Embanews, a well-known Brazilian magazine, awarded Aptar’s Partial Lid Snap Top (33-450) with SimpliSqueeze® Valve with one of the most prestigious packaging award in Brazil: Roberto Hiraishi. Paired with an upside-down PET container for a major sauces & condiments brand in Brazil, the final product won the recognition under two categories: Structural Design and Technology & Quality. The Partial Lip Snap-Top with SimpliSqueeze offers a convenient and clean application on inverted packaging, avoiding product splatter while allowing for a full product evacuation. The superior latch-bead design gives consumers the well-wanted audible click, reassuring the product has been released. “Our Polypropylene Partial Lid Snap Top (33-450) with SimpliSqueeze silicone valve has been specially developed to achieve maximum performance. 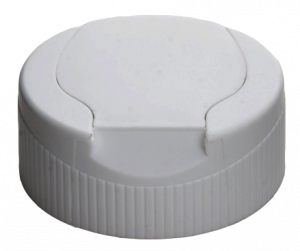 The bottle, when tightened, propels the product through the hole in the cap, dispensing the correct amount and retaining the excess. It is the ‘pull it back’ effect that prevents splashing on the inner and outer faces of the lid, exclusively provided by the SimpliSqueeze silicone valve,” said Paulo Pazinatto, President of Aptar Food + Beverage for Latin America. In addition, “The necessary force to dispense is ideal as it’s easy and intuitive for everyone including seniors and children,” explains Ana Toledo, Regional Market Development Manager for Aptar Food + Beverage in Latin America. Aptar Food + Beverage continues to delight and improve the lives of consumers through innovative packaging! Contact us at infofood.gbl@aptar.com to learn more about this and many other Aptar innovations!